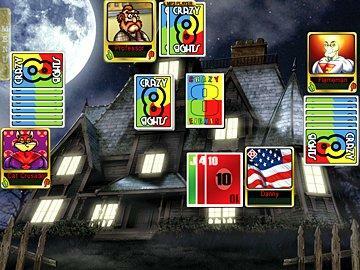 Get ready for the wildest and most exciting card game ever released. 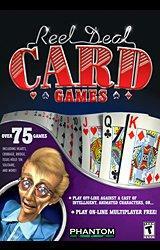 Reel Deal "Card Games" will blow you away with its enormous array of games that include Hearts, Spades, Canasta, Bridge, dozens of Solitaire games, and over 70 others! Playing card games has never been more zesty and animated than now with our suite of famous characters, presented in a new, movie-like quality, never before seen in any card game! The smart, vivacious opponents will help you learn how to play, or test your various skills with multiple levels of intelligence. You can progress through the secret areas of the Prize Vault and Mall to unlock hundreds of items and surprises. 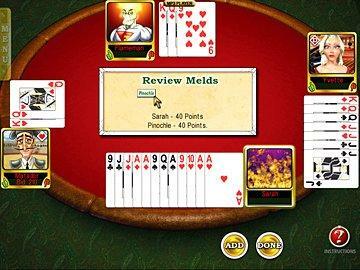 You can even play this game on-line with other players from around the world for FREE! Jump on board the Phantom EFX epidemic sweeping the country!